BBC inside makeshift typhoon aid centre Jump to media player The BBC's George Alagiah reports from a makeshift distribution centre at Manila airport where volunteers are helping with the aid effort following Typhoon Haiyan. 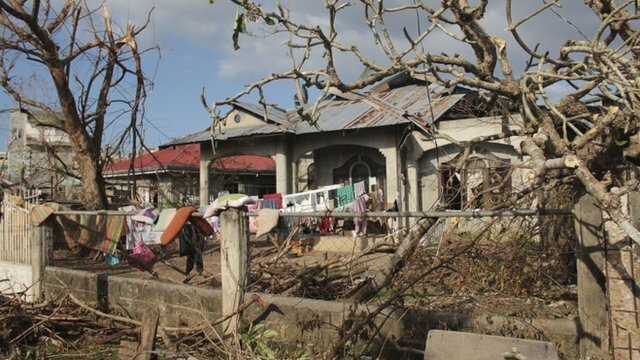 BBC reports from destroyed Cebu Jump to media player One disaster worker told the BBC that assessments in the far north of Cebu province had shown some towns had suffered "80-90% damage". 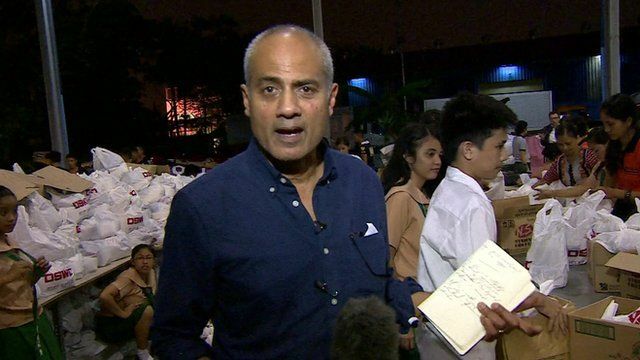 The BBC's George Alagiah reports from a makeshift distribution centre at Manila airport where volunteers are helping with the aid effort following Typhoon Haiyan. Thousands of survivors in the Philippines are still desperately waiting for the aid effort to reach them. Among the volunteers putting relief supply bags together are students and church workers.